My Best Ever Holiday in Goa With Club Mahindra! Egypt classical holidays or tours are an enjoyable and unique opportunity to witness the history and civilization of Egypt, through visiting the main sites and antiquities of different cities. NO other country except Egypt has this amount of monuments and sightseeing. From the immortal Pharonic monuments, to the monuments of the Greek civilization, and from the historical sites of the Roman Empire to the Islamic and Christian monuments. Egypt is unique from any other country due to its heritage of successive and different empires that ruled. In no other country in the world would you see the monuments of the three main religions located in one place. A sightseeing tour in Cairo will allow the visitor to see the Christian heritage of churches like the hanging church, Church of St. Barbara besides the Jewish monument of Ben Ezra Synagogue, All standing in a close distance to the rich Islamic sites of mosques. Among them are the oldest mosque in Africa, Amr Ibn El Aas Mosque in old Cairo, Ibn Tuloun Mosqe and the Alabaster Mosque of Mohamed Aly in the Citadel of Salah El Din. And in the same city stands one of the seven wonders of ancient world the Pyramids of Giza which testifies the glory of the ancient Egyptian civilization. Egypt Classical Tours and Holidays Any one visiting Egypt should not miss a classical tour to see the main landmarks and sites of ancient civilizations. Egypt classical tours or classical holidays usually start with Cairo, where daily excursions are held to show the main sites there. A day tour to the great Pyramids of Giza with their guarding Sphinx is a must see, then proceed to Visit Sakkara the burial site of Memphis, emphasis the grandeur of pharoanic monuments. A visit to the Egyptian Museum of antiquities should not be missed. A trip to Luxor which has one third of the world ancient monuments is among the main classical tours in Egypt. Luxor has been transformed into an open air museum. The Karnak Temple with its huge colonnades is a master piece of ancient Egyptian architecture. Luxor West bank has many tombs, many of these tombs has the paintings on their walls still with the colors were one can see the pharoanic art. Aswan is the third city after Luxor and Cairo where one would love to go for a classical holiday in Egypt. Temples of Abu Simbel with their unique style, reflect the glory and grandeur of the New Kingdom. 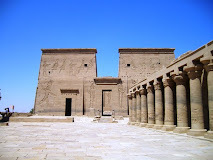 There as well the Philae Temple and the Agha khan Mausoleum. Classical holidays in Egypt can include as well religious tours for both Christians and Muslims. For Christians a classical religious tour of the main places which the holy family undertook when they fled from Jerusalem to Egypt. Church of Virgin Mary on board the Nile River banks, The Hanging Church, the ancient pilgrimage site of Al Qusiya and the Wadi Natroun Churches. For Islamic sightseeing tours, Cairo the city of thousand minarets has some of influential mosques for Muslims like El Azhar mosque, Amr Ibn El Aas mosque, El Rifai mosque amongst others. If you are planning a holiday in Egypt you should carefully plan the tours and excursions that should be included in Egypt classical tours to make your vacation rich and memorable. Designing a classical tour you can contact a travel agency which will provide you with all the information and all the itineraries with the main sites not to be missed besides you can save on compiling several tours in one day and prevent being exploited or exposed to a lot of haggling over service price. If interested in creating a classical tour in Egypt contact Deluxe Travel Egypt which can provide you with different solutions to your classical holidays in Egypt. Travel expert in Deluxe Travel Egypt with a cumulative experience in the travel industry. Provider of high quality luxuries travel services with special catering to different requirements of various market segments.